May 8, 2013, will be notified about the update history (Wed). 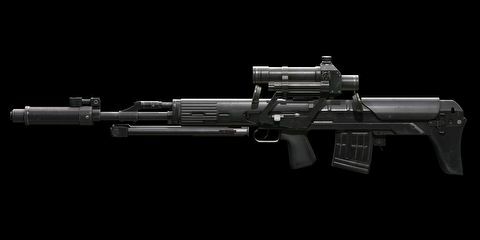 Model the SVD (deurageunopeu sniper rifle), the modernization of the bulpeop gaeryangsik. - The corresponding rules Play high-speed jeomsa through the speakers do not recognize the Ames does not happen. Preference on how to reduce the disadvantage play adapted. The Rifleman's disease after the start of the game, the [T] key to select the test channel is equipped the Test for SA58.Para the input. - The start of each round can be mounted once, or every time you respawn. Will be expanded to reflect the SMG and rifle-like gun. - 'AI' Canon 'Canon', for the progress of the above-mentioned test maps have been added. The map exp 10%, and can receive the added benefit of 20% of the advertised value. * 5/8 (Wed) Update "Mercenary Cold Case 'and' Canon ',' AI canon (guide), you can use the test channels (three species). Some firearms (SA58.Para, AMD65, G3A3 Nero weapons FG42 series) to reduce the the contraction delay time for correction. 1) in the web shop to sell items for sale 09 armor in the game package. 1) Red capsules of the gun shop paper STG44, L2A3 gun sales through May 7 (Tue) check will stop. 2) stop selling guns will be the newly re-released later. * Re-release schedule will be announced separately at a later date. Maps that were in progress 1) 5/2 (neck) to the preference is named Aslan Hellhound vote, recommended a new map in the list. Will not be seen the recommended maps from the list 5/7 (Tue) 2) except for the desired map the line specified Airplane Canon. 3) a possibility under consideration for the remake of the Hellhound, your feedback on the future direction of the power. Ask for the many comments that I felt while playing the map. * Check time paid Poll Events compensation, has been completed. After checking period 1) [May 8, 2010 (Wed) 23:00 - May 28, 2008]. Initialized at the beginning of the existing RP 2) Season 4, and we'll guide you through the details of compensation otherwise noted. Hope to update prepared so that it can be carried out as planned.